Surviving family members may have a Florida wrongful death claim even though a pedestrian is partially at fault for stepping into the path of an oncoming vehicle. Police Said I was Partly at Fault in My Pedestrian Accident Many times when dealing with a pedestrian case there could be a situation where the pedestrian may have been partially at fault. Find out what this means. Recent news accounts describe the tragic death of a 51-year-old Vermont man, who was struck by a car while attempting to cross S.R. 54 in New Port Richey. Press reports rarely give sufficient details to truly understand what led to this fatal outcome. However, there are common threads in many situations in which a pedestrian is determined by the police to have stepped into the path of an oncoming vehicle. First, police officers investigating a traffic collision, even an accident resulting in death, are not lawyers and do not make findings under the law. In other words, police officers are not looking at a situation the way lawyers would look at it. Often, they simply make a decision that one party or the other appeared to them to have been more in the wrong. Their finding does not necessarily mean the entire responsibility for the car accident rests on the party they found to have been "at fault." Florida is a "comparative fault" state. In any pedestrian accident, even one involving a death, the conduct of both the motorist and the pedestrian are closely examined. It is possible fault can be divided between them. This is called "apportionment of fault" and it is what a jury is called upon to do when a case is submitted to them for a decision. They look for evidence that one or both parties involved committed some act of negligence. Fault is then attributed to each party based on how their actions contributed to the crash. 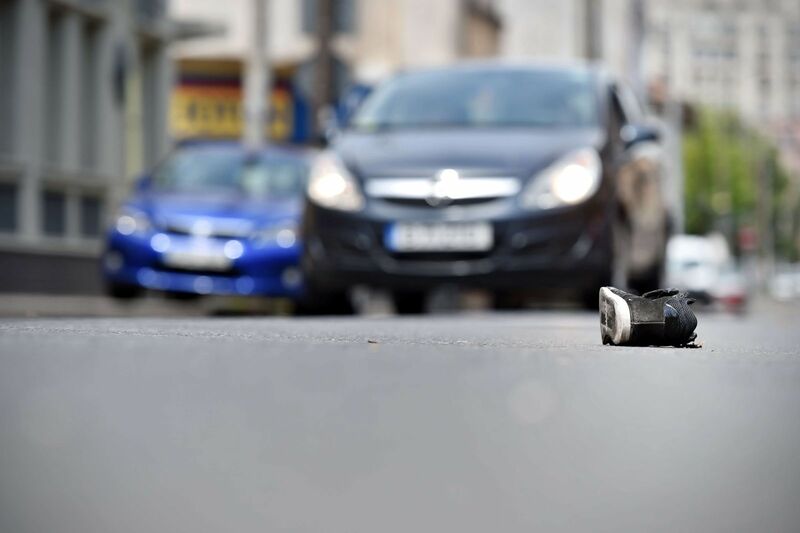 When a pedestrian dies after being struck by a vehicle, there is always the potential for a wrongful death claim by the pedestrian's survivors. While every case is unique, compensation awards in wrongful death cases can be extremely large depending on the facts and circumstances of the decedent and their survivors. Even in situations where it is argued the pedestrian had a greater responsibility for causing the crash than did the motorist, it is possible for their survivors to receive substantial compensation. This is not at all uncommon. As an example, if it were determined a pedestrian was 90% responsible for causing a collision, the survivors (through the deceased's estate) would still be entitled to 10% of the full value of the wrongful death claim. If the wrongful death claim were worth $1 million, in this example, the pedestrian's survivors would be entitled to receive $100,000 in compensation. Unfortunately, many families are reluctant to look into the circumstances of a crash in which the police have determined their loved one to have been "at fault." It has been our experience that virtually all crashes of this type should be examined carefully by an experienced Florida pedestrian injury lawyer. There is often substantial evidence to show the driver had ample opportunity to have seen and to have avoided the pedestrian, even though they may have been walking without having the right-of-way. We have successfully recovered for many families in these situations.